Based on the concept of “it’s ours to share not anyone’s to own,” and taking full advantage of its recent merger of equals, Willis Towers Watson leads their industry in new ways to work. The firm’s New York headquarters at 200 Liberty Street, Brookfield Place, is an open, light-filled, egalitarian environment with a variety of activity-based settings that afford ample opportunity for both head’s down work and team (and cross-team) collaboration. Comprising 150,000 square feet on two floors (connected by an internal stairway) views of the Hudson and the Oculus are shared by all. 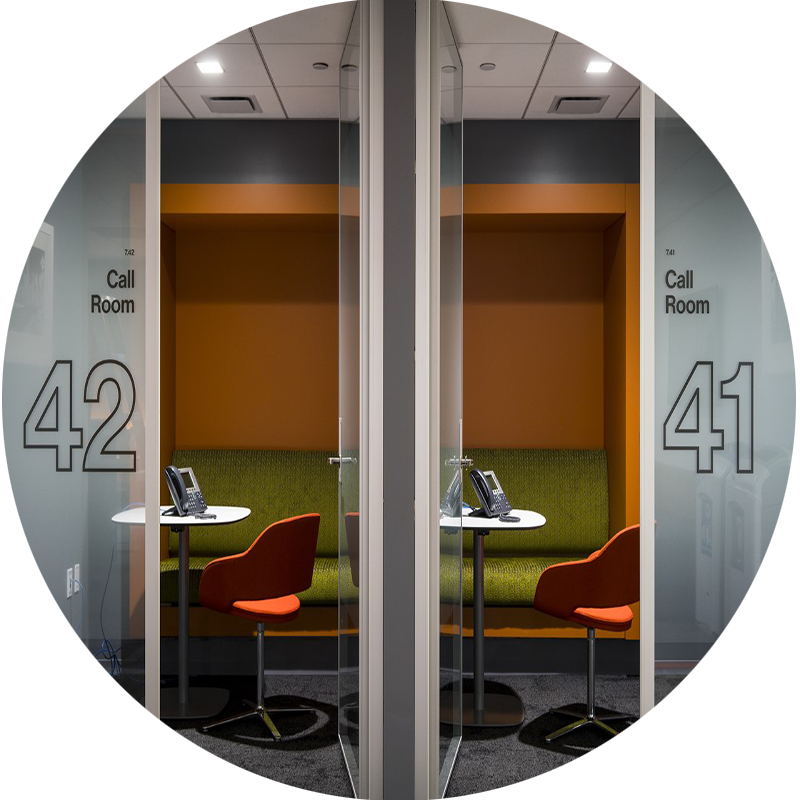 The space is fitted with free-address sit-to-stand desks, “catch-as-you-can” call rooms, huddle rooms and lounge seating, reservable meeting rooms of varying sizes and a client conference center. Showers on both floors allow colleagues to refresh after taking advantage of the nearby Brookfield Place and Battery Park paths. Reuben’s Cafe, Willis Towers Watson’s in-house food and beverage service offering daily specials and after-hour service, is a comfortable spot for business and social gatherings or an informal place to work.